Until, when they came upon the valley of the ants, an ant said, “O ants, enter your dwellings that you not be crushed by Solomon and his soldiers while they perceive not. Information on Ants: Ants are social insects, and work together in colonies. This means they also need to have an effective mode of communication. Ants are considered ‘Super organisms’, because they work together for the community, on a collective level, and as a united entity. Army ants never attack or kill each other, but they are capable of defeating creatures many times their size when they work together. 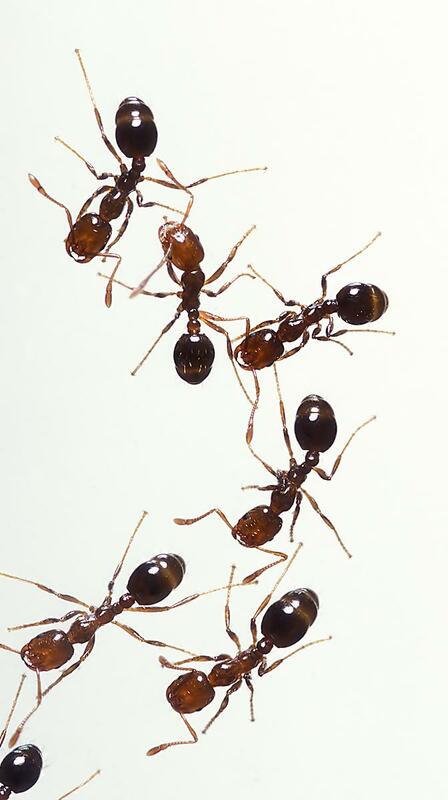 The method of communication adopted by ants is called ‘chemoreception’, i.e. an ant will leave a trace using pheromones, which are chemicals, to signal other ants, who will perceive it using their antennae. According to some scientific journals, ants can also use tactile (touching, feeling), acoustic (hearing) and visual communication as well. Apart from using their pheromones to tell other ants where food is available, they also use them to communicate other important information, for e.g., an ant that has been crushed will usually send out an ‘alarm pheromone’, to warn other ants and send them into attack mode. 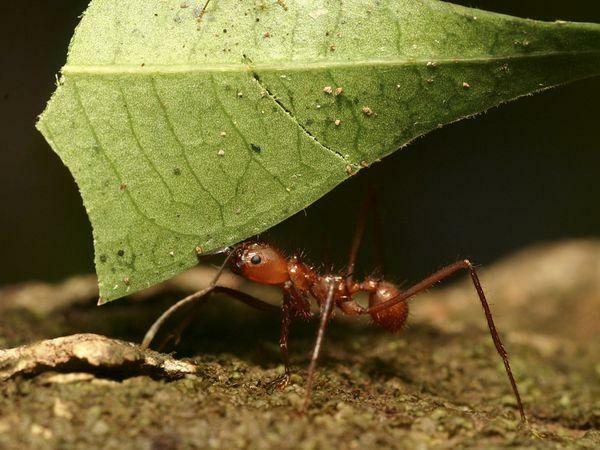 Ant communication is very effective, and army ants rely entirely on chemical communication, and these act as stimuli for changing behavior patterns. The intensity of the pheromone is correlated to the urgency of the command. It’s very fascinating how Allah (سبحانه وتعالى )created ants with a strong sense of unity and belonging in them. This shows how well they look out for each other and what really Allah(سبحانه وتعالى )wants us to do. However, on the contrary, if we look around us we see that individuals are so busy in their own lives that they remain heedless of one another. The brotherhood which should be formed has been lost and needs to be revived. There are lessons to be learnt from these ants and selfishness is not one of them. Every individual in the ant colonies does its full share of the work. None worries about the position it is in nor the nature of the job it performs, but it plainly does what is required of it. What is important is the continuity of the colony. As human beings we learn a great lesson that we must let go of our ego too and work together as a community. If we analyze the hierarchy of the ants, we come to realize that there are no governors, leaders, police, guards etc. The primary role of the queen ant is to maintain the species and not to rule over or govern them. Yet ants have been able to maintain the order they work in despite the vast area they cover and their huge numbers. This shows that there is only One True “Supervisor” governing over the ants. How the ants have been able to maintain such an orderly manner leads to the realization that Allah (سبحانه وتعالى )is the Master and Supervisor over all His creation. Allah (سبحانه وتعالى )has mentioned this communication of the ants in the Qur’an 1400 years before any scientific research was even conducted. We are told repeatedly to look at the signs around us and take heed, and recognize that He alone is the best of Creators. This entry was posted in Signs in the Universe and tagged an-naml, ant, miracle, signs. Bookmark the permalink.